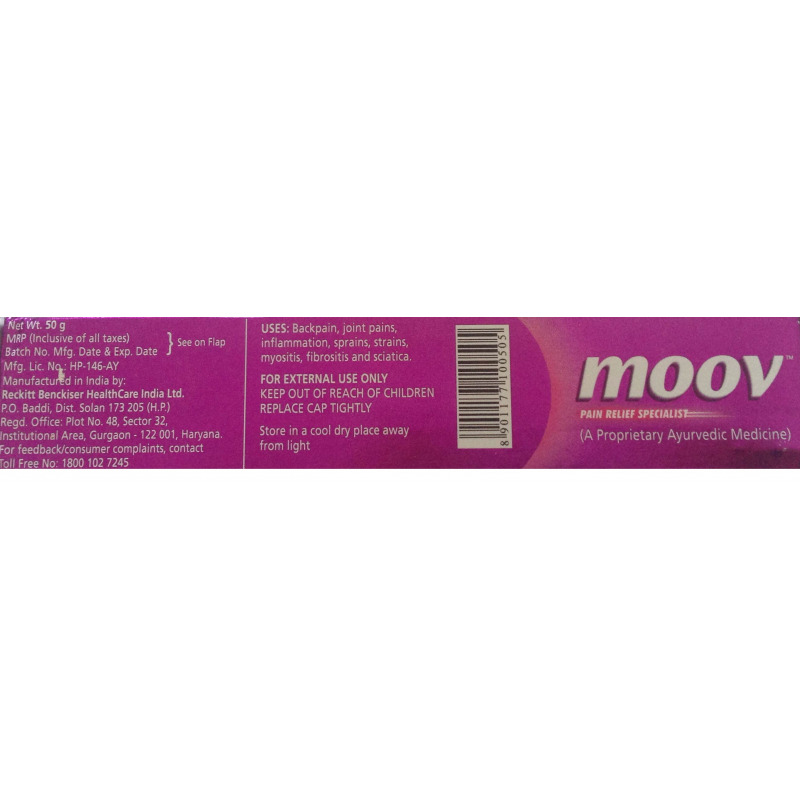 Moov is a 100% natural Ayurvedic ointment that relieves back pain, general body aches, muscle strain etc. 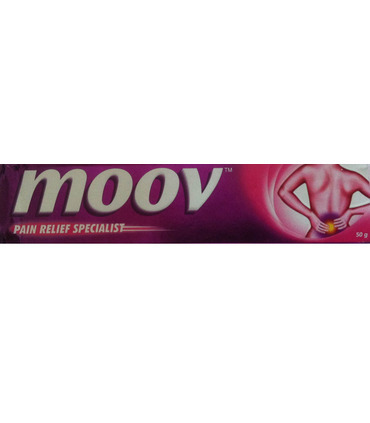 caused due to stress and strain. 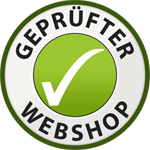 It is applied topically on the affected area. 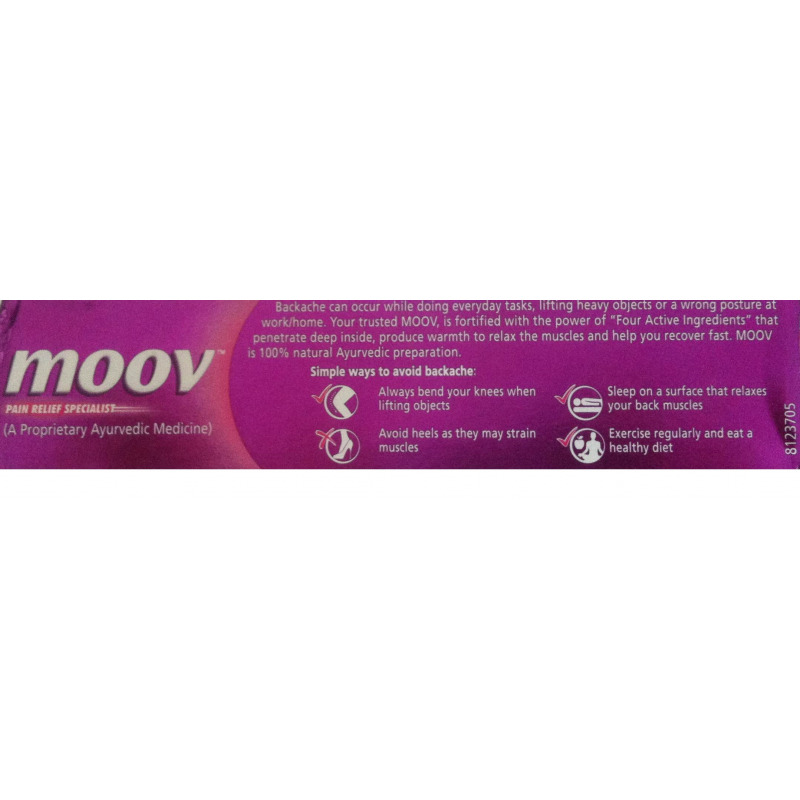 Moov has been fortified with the power of four active ingredients: - wintergreen oil - mint leaves - turpentine oil - eucalyptus oil These ingredients penetrate deep into the skin, produce warmth to relax the muscles and help recover fast. 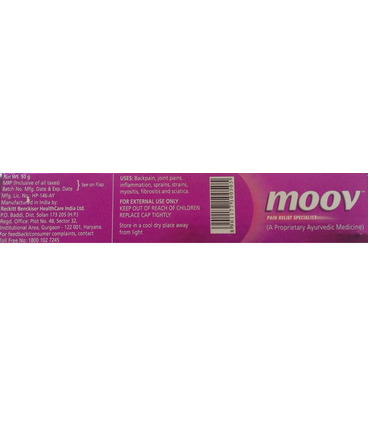 Moov’s quick action pain relief formula provides instant respite from pain. 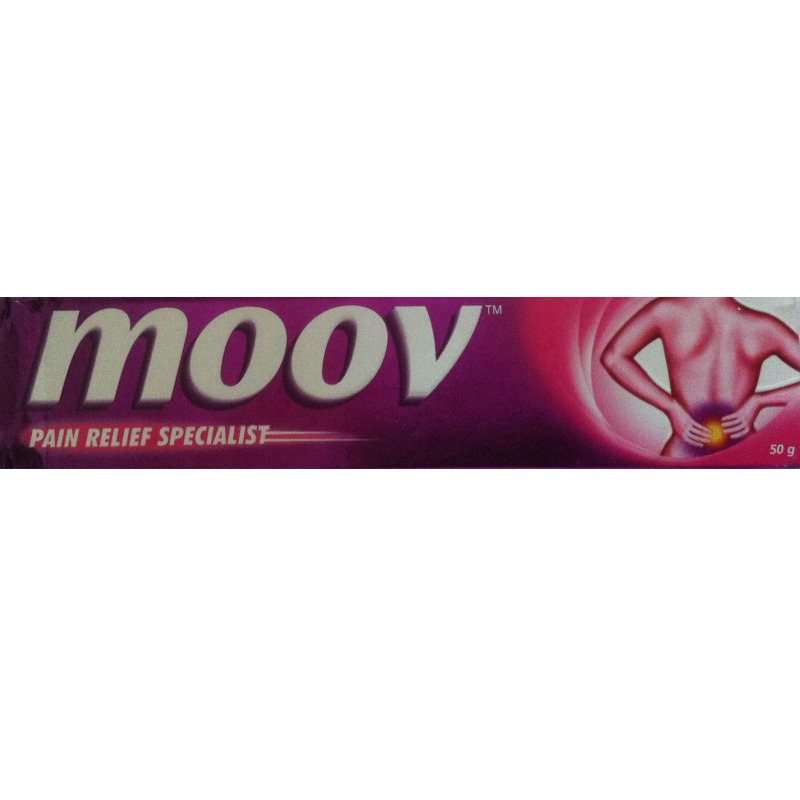 These ingredients penetrate deep into the skin, produce warmth to relax the muscles and help recover fast. 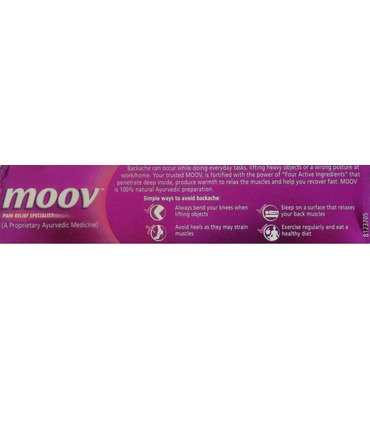 Moov’s quick action pain relief formula provides instant respite from pain.